(a) Disengage the 4 clamps and disconnect the wire harness. 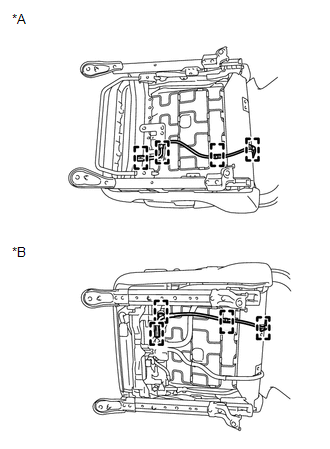 (b) Disengage the 2 clamps and disconnect the wire harness. 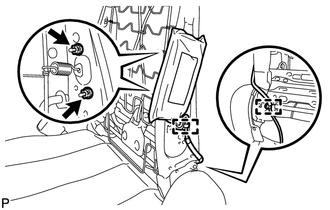 (c) Remove the 2 nuts and front seat side airbag assembly.